New two-day acceleration groups and co-work Wednesdays added to Novotorium’s full business incubation program, according to Mike Krupit. 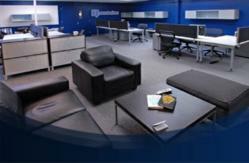 Novotorium offers entrepreneurs professional workspace in an innovative, collaborative environment. Based on the overwhelming success of programs we launched during our first three months, we wanted to extend our reach and services to more entrepreneurs and emerging companies. Entrepreneurs who are launching and growing emerging businesses will benefit from new business acceleration programs and co-work days offered by Novotorium, a center for entrepreneurs that offers a collaborative work environment, a full-time professional staff, and a network of experienced entrepreneurs and advisers, according to Mike Krupit, who heads up Novotorium. These new programs – offered at no charge – will help entrepreneurs become more effective at growing their businesses, while at the same time connecting with Novotorium’s supporting partners and in-house team. Entrepreneurs will also have the opportunity to meet with and work alongside of other entrepreneurs who may be experiencing similar challenges. The new Business Acceleration Groups are small groups of entrepreneurs and young businesses (about 8-10 in each group). Entrepreneurs participate in a condensed incubation program for two days every month. Companies will be grouped based on their relative stage, from “Seed” to “Launch.” The two days will be spent as would any incubation – mentoring, classes, partner office hours, and collaboration. The goal is to give the companies a boost to help keep them moving forward. Groups will remain consistent to allow members to build lasting relationships. Two Business Acceleration Groups have already been formed – the first “Launch” group starts February 29. There are a few openings in the first “Seed” group scheduled to begin March 14. Novotorium is actively recruiting more entrepreneurs and companies to start more groups. In addition to these programs, Novotorium is also offering a class, “Strong Product Management,” 6:00 p.m. to 8:00 p.m., February 29. The class will help entrepreneurs better understand product management, and will be led by Anita Garimella Andrews of Sepiida, an online marketing firm that provides analytics implementation & analysis, conversion rate optimization, and product management services. Registration for this event is required. Novotorium’s original full incubation program continues to be available to select businesses that have already launched and are working on developing long-term, sustainable growth. The business incubation program runs for an initial period of three months, and includes: workspace, individualized mentorship and guidance from Novotorium staff and partners, and use of facilities (including internet access, kitchen, gym and napping pod). At the end of the three-month period, Novotorium may offer to continue incubation and make a capital investment into the business. Admission to all Novotorium programs is available on a rolling basis. Those interested in applying may find more information and a registration form on the Novotorium website.